Last Saturday we had a superfun event at Kynospirit. I took Judy out to the valentine runway show. Untrained only groomed. This event has 5 judges, 2 for conformation, 2 for handling and 1 for styling. So we put our best dress on and went on the runway. Judy was so extremely happy that she was jumping all over the place the first half hour, but when she did a few tryal runs it went better and better. 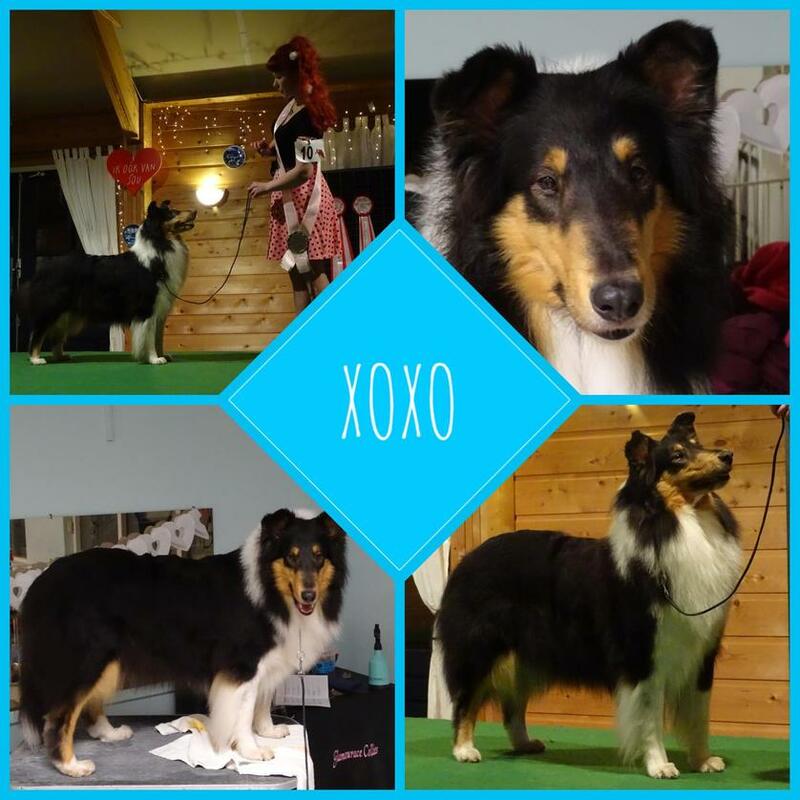 The whole evening went by very nicely, nice people to talk to, watching dogs, watching handling, it was fun without the stress of a normal dogshow. 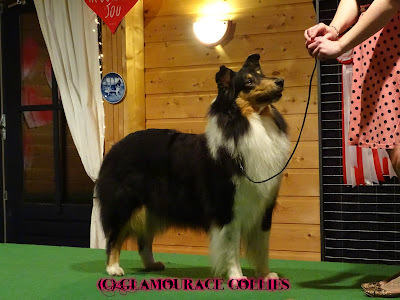 I never could have imagined that Judy would get so far on the show, but at the end of the evening she was in the finals and managed a best in show 3!!!!! Super proud we went home, and I'm even thinking of entering Judy this year in the showring again.